Articles relating to the sign boards we’ve erected around the Island. It’s a triumph for a bunch of persistent and hard-working people and for community support – the ferry is due to be re-launched tomorrow 5th August with a full, Summer service starting Saturday 6th August. The opening event is free and starts at 12.30 including: pyrotechnics, Police guard of honour, music by local star Chloe Anne, free face painting, and the Portsmouth Football Club mascot. For one day only, crossings will be £1 per trip. 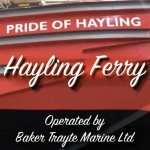 More details of the opening event, fares and timetable on the ferry’s new web site at www.haylingferry.net. Service updates will appear on Facebook and Twitter. There will also be an on-board mobile phone – we’ll update our ferry status page when we know the number. 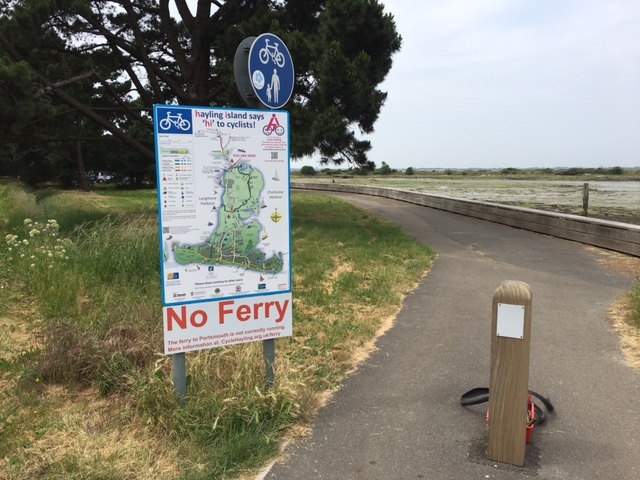 Later this evening we’ll be removing the ‘No Ferry’ sign at the top of the island and updating all the sign boards around the island. Since the ferry closed, we’ve had a procession of walkers and cyclists following out-of-date route maps down the Billy Trail to the ferry only to find they have to retrace their steps! 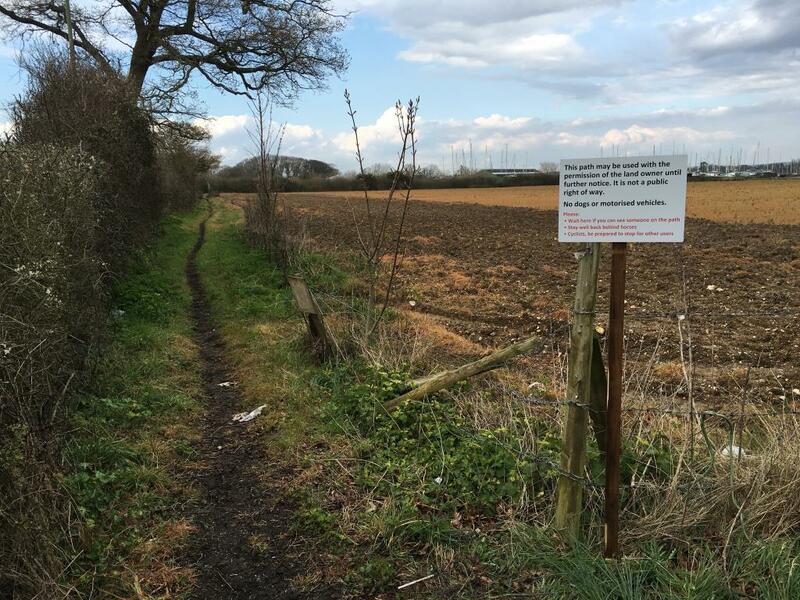 Neither Hampshire or Havant councils responded to our requests for some warning signage, so we decided to add a sign below our existing map board sited between the bridge and the Billy Trail. 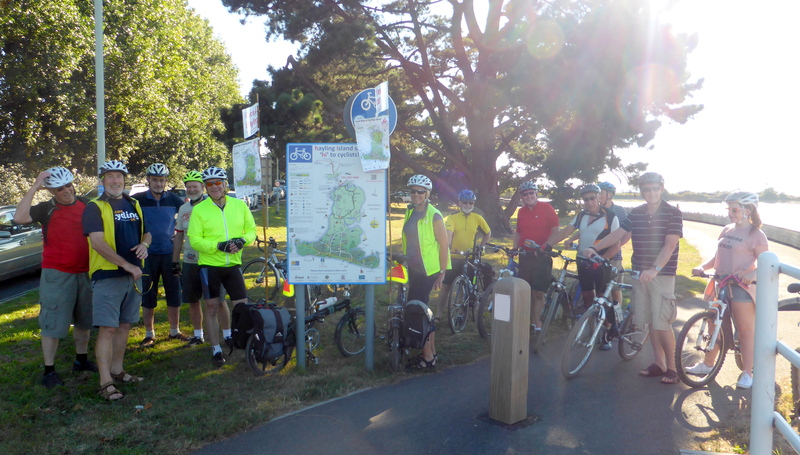 It was paid for by a donation arising from last year’s Paris to Hayling ride. We hope it’s sufficiently prominent to warn people of the problem. We will – of course – be delighted to have to take it down again! The link takes people to this page. We’ve now installed permanent signage at the north and south ends of the new section of shared cycle path going north from the Mill Rythe roundabout. Our thanks are due to Wilf Forrow who contributed his time, effort and money to install the new signs (I stood around and offered the all-important encouraging words). You’ll also see that, compared to how the path was last year, it is much improved through the efforts of our supporters, the Registered Riders Scheme and Andrea and Simon Walter (the land owners). The track along the middle of the path is encouraging evidence that the path is being used. 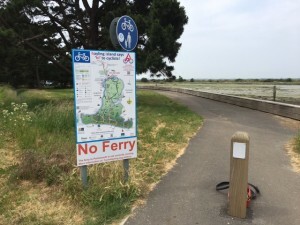 Thanks to everyone who voted for Cycle Hayling in last year’s ‘approved by you’ ballot, we have been able to replace all the fading cycle map sign boards. 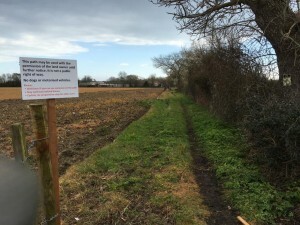 Voting took place yesterday on Hayling Island to decide which applications would be funded under the ‘Approved by you’ scheme. I’m pleased to report we were one of the successful applications so we now have £500 to improve cycle signage around the Island. Thank you to everyone that voted for us – we’ll make sure we make good use of the money. Thanks also to Wilf – for organising our bid and the presentation on the day – and to Robert and Sue for their support.